Summer time is the perfect time to come to the Sayre Mansion and experience the Lehigh Valley. The warmer weather combines with picturesque scenery and small town charm to create ideal conditions for a memorable trip. From local traditions to the beauty of the outdoors, these Lehigh Valley things to do will fill your itinerary with activities for a great getaway. For the largest beer tasting in the Lehigh Valley, head over to the Lehigh Valley Hopsfest on June 14th. Hosted by the same organization who puts on the Celtic Classic Highland Games & Festival, there will be over 50 participating breweries offering over 100 beers to taste. Another popular option among Lehigh Valley things to do is exploring the Lehigh Valley Wine Trail. Each of the nine vineyards have seasonal events to enjoy and regular tours and wine tasting opportunities. At the beginning of the summer, check out Taste of Pennsylvania Wine and Music Festival on May 17th and 18th in York. Franklin Hill Vineyards has a free Happy Hour event each Friday at all of their Lehigh Valley locations that includes featured wines and snacks. And make sure to check out Galen Glen Vineyards for food truck events, new releases, and even a throwback to 80s wine coolers! 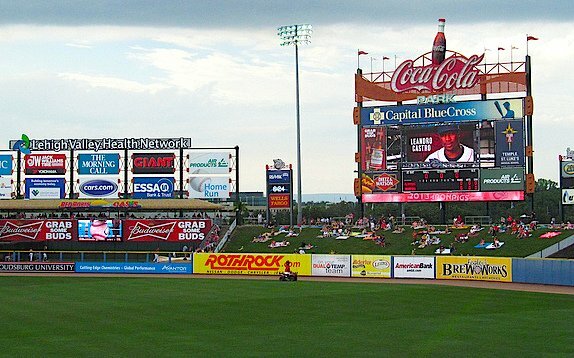 Summer is baseball season in the US, and the Lehigh Valley participates wholeheartedly in this American pastime. 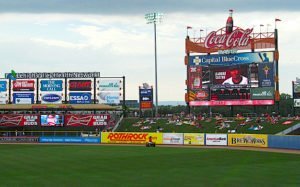 The Lehigh Valley IronPigs are our local minor league baseball team and they play at Coca-Cola Park in Allentown. So buy some peanuts and crackerjacks (and maybe a beer) and cheer on the home team! To get in on some Lehigh Valley things to do that have become local traditions, attend an annual festival or two. Favorite summer events (link to blog) include the Downtown Bethlehem Fine Arts & Crafts Show, the Mayfair Festival, the Blueberry Festival, Kutztown Folk Festival, the PA Blues Festival, Blues, Brews & Barbecue, and Musikfest. Or, if you crave some quality theater during your time in the Lehigh Valley, you can take advantage of the Pennsylvania Shakespeare Festival, taking part on multiple stags throughout the summer. This year’s performance schedule includes Two Gentlemen of Verona, Fiddler on the Roof, Lend Me a Tenor, Macbeth, Women of Will, Cinderella, and The Great Divorce. For a full events calendar, click here. Summer is the ideal time to take advantage of the beautiful scenery of the Lehigh Valley by getting outside. Along with opportunities for whitewater rafting on the Lehigh River, you can try scuba diving at Dutch Springs or simply hiking at one of the areas several parks. Hawk Mountain has several trails to choose from for all abilities as well as a great raptor conservation program with great sighting opportunities. Or take a Gorge Bike Trek around the Lehigh Gorge Rail Trail and see waterfalls, hills, wildlife, and the Lehigh River. When deciding which of these Lehigh Valley things to do this summer, don’t forget to book your stay at Sayre Mansion. Our Bethlehem bed and breakfast is the ideal place to plan out your adventures and recharge between activities. Luxuriate in one of our elegantly appointed rooms and enjoy the charm of the past with all the modern conveniences you need in a home away from home. And of course, your stay includes a full breakfast each morning so you can take on the day ahead. Let the Sayre Mansion take care of you during your Lehigh Valley vacation for an unforgettable experience. See you soon!